To really improve the look of your scene, you can use the Drop Shadow effect. It is easy and efficient to use. If you have a light source such as the sun or a lamp in a scene, use the Drop Shadow effect to give a more convincing look to your scene. The shadow you create will follow your animation, even if you make some modifications afterward. 1. 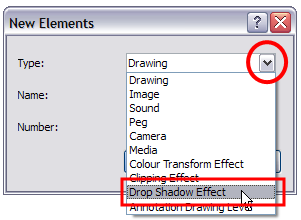 In the Special Effects toolbar, click the Drop Shadow Effect button. You can also add the Drop Shadow effect from the Timeline toolbar. ‣ In the Timeline view, click the Add New Element button. The New Elements dialog box opens. ‣ From the Type list, select Drop Shadow Effect. ‣ In the Name field, rename the effect appropriately. 2. Drag the selected layer ONTO the Drop Shadow layer. The shadow appears in the Camera view. 3. In the Timeline view, select the Drop Shadow effect. 4. 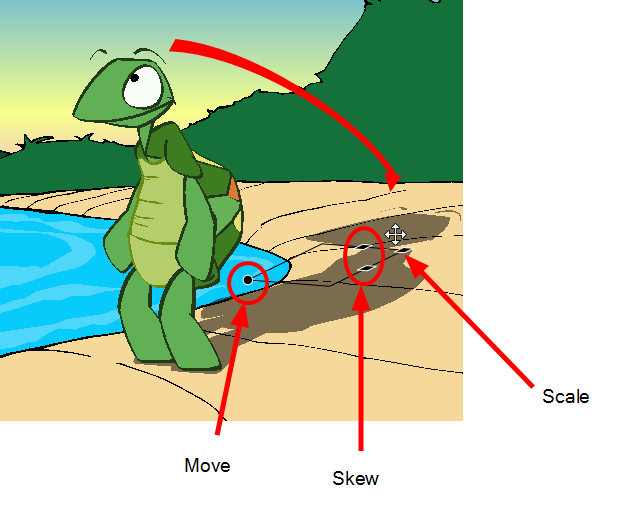 In the Camera view, click on the shadow's anchor points and position the drop shadow. 5. In the Properties view, click the colour swatch and adjust the colour. If you`re using the Colour Transform effect, the colour changes you make can be applied to the drawing, shadow, or both. You can select these options from the Parent Colour Transform Options list. 6. 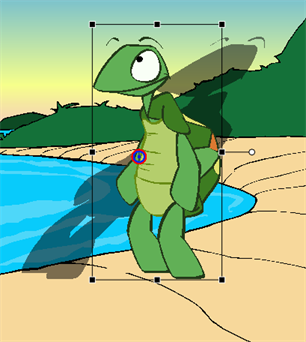 In the Properties view, adjust the Opacity slider to modify the shadow's transparency. 7. In the Properties view, select the Hide Elements option if you want to temporarily hide the original drawing while you reposition its shadow. 8. 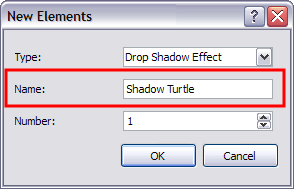 In the Properties view, click Reset Position if you want to cancel any position modifications you made to the shadow.